As the part of changing world, the change in the medical field is highly noticeable. The medical instrument trolley is one of the highly used equipment in the hospitals today. The medical trolleys are completely hygienic, compact in sizes and easily movable form one place to other, even through the smaller passages, lifts or staircases. The trolleys have been designed to store all kinds of tools, equipment’s including medicines and bottles. The drawers are tightly fixed with lockers and can roll easily over the slider. The properly fitted compartments of the trolley maintain the tools and medication with much care and without any wobbling. Most of the medical instrument trolleys are made up of smooth stainless steel rods and fitted with stronger wheels that keep the movement free, without any jerks. The stainless steel shelves are big enough in size to accommodate medium or bigger sized tools. It has a set of the de-attachable stainless steel trays and bowls which are fitted well and are useful while serving the patients or doctors. Most of the medical trolleys have range of accessories and can be designed as per the specifications given by the clients. The number of cabinets required the locking door system, scratch and tamper resistance top. Bottom and side panels can be designed as per the international standards by using high quality material. 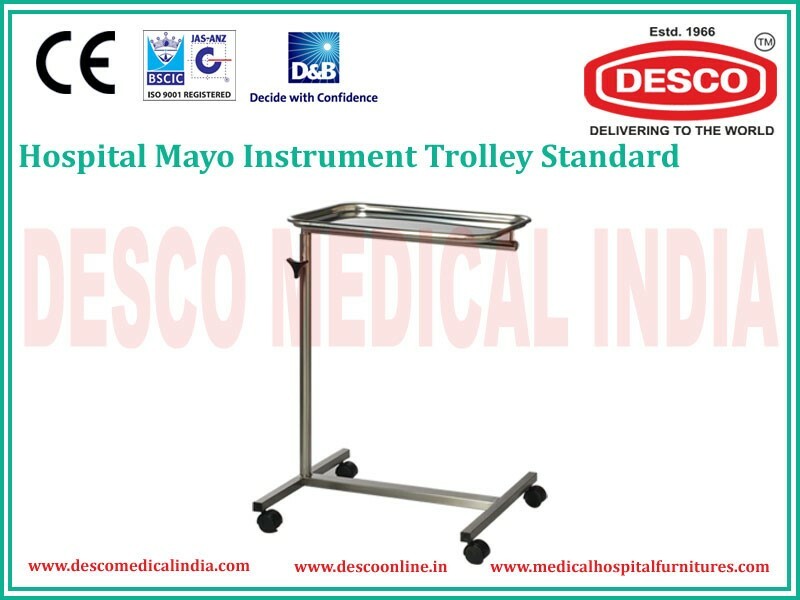 The manufacturing company Desco India offers the long lasting, fully assembled best quality medical trolleys with advanced features, ideal for limited space environments and useful for medical staff, doctors and patients.